Dandruff is not only a chronic condition that is common among us humans. It is also quite common among dogs. It occurs because of the unusual drying of the dog’s skin. This leads to the excessive production of white flakes that we often see on our floors, upholstery, and other surfaces in the house. It is a harmless condition. However, it does present with other symptoms that can be uncomfortable for your pet. As such it is best that we also know how to get rid of it at its source. What Causes Dandruff in Dogs? Before we look at some of the proven ways you can get rid of dog dandruff, let’s first take a moment to understand why there’s dandruff in dogs. You should know that vets call dandruff seborrhea. You might get confused if in case you hear your vet talking about seborrhea instead of dandruff. We know that dandruff results from excessive dryness of the dog’s skin. The big question is, why do some dogs have dry skin? One of the most important reasons why dogs may develop seborrhea or dandruff is allergies. This can come in the form of environmental or food-related allergies. Environmental allergens can include pollen, dust, and household cleaners, among others. These substances trigger an immune response which can include inflammation. With inflammation comes the release of pro-inflammatory substances. These compounds can make the skin dry, making it more prone to flaking. On the other hand, food allergens can also cause excessive drying of the skin. Like environmental allergens, food allergens stimulate the immune system to release pro-inflammatory substances. These substances aim to fight the invading allergen. It is sad that their actions will always result in tissue inflammation. It is also possible that poor nutrition can lead to the formation of dandruff. This is often seen in dogs that eat poor quality dog food. They may not be getting the right amounts of essential fatty acids and other nutrients for skin and coat health. Dogs with Cushing’s disease and hypothyroidism are also more prone to excessive drying of the skin. Fungal and bacterial skin infections can also cause the skin to dry. These microorganisms can change the pH and chemical composition of the skin, leading to drying. Some dogs are also prone to developing dandruff during the winter months. This correlates to the substantial reduction of moisture in the air. As humidity levels drop, the dog’s skin also loses moisture. This can make it itchy. Dogs have this natural tendency to scratch the body part that itches. This can lead to dry, flaky skin, if not cuts on the skin. It is also possible for dogs to get dandruff in the warm days of spring and summer. This correlates to seasonal allergies. Parasitic infections can also bring about dandruff. There is a type of mite known as Cheyletiella that burrow in the dog’s skin where they lay eggs. Cheyletiellosis produces a more severe form of dandruff in dogs. Another mite, the Demodex canis can also produce dry, flaky skin in dogs. 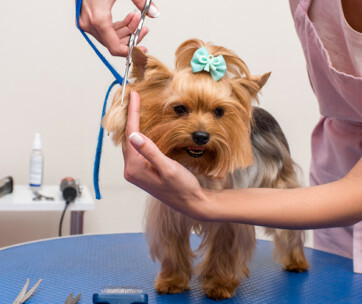 Poor grooming can also predispose dogs to dandruff. There’s a reason why we need to brush our dog’s coat on a regular and frequent basis. This is to make sure that the natural oils in its skin get distributed in an even manner. This helps in lubrication and hydration of the skin. Brushing your dog’s coat every day can go a long way towards preventing the occurrence of dandruff. Brushing not only removes dirt that can irritate and dry your dog’s skin. Its massaging action can also improve blood circulation. The massaging action of brushing can also distribute the natural oils present on the dog’s skin. These natural oils lubricate the skin and help prevent excessive drying. When brushing your pet’s coat, it is important to choose the right dog brush. The best dog brush should never be very stiff or very soft. If it is the latter, then the individual tines or bristles will be unable to exert pressure on the skin. If it is too stiff, then the brush may further irritate your dog’s skin. 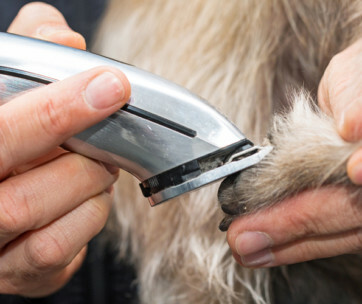 While some dogs may be able to groom themselves, they still need our hand. This is for those parts of their body that they cannot reach with their tongue. Overweight or obese dogs may also have difficulty self-grooming. Older dogs may also have inflexible joints, preventing them from reaching certain body parts. These parts of the body that don’t receive regular brushing may end up with dandruff. This can be tricky. Bathing your dog on a more frequent basis than necessary can strip its skin of its natural oils. It can also lead to changes in the pH of the skin. Some microorganisms thrive in acidic skin while others grow better in alkaline environments. Whatever the case, over-bathing your dog can court other skin problems. Depending on the severity of the dog dandruff, you can start with bathing every 2 to 3 days. If you notice your dog’s skin to be improving – less dandruff – then you can lessen the frequency of bathing to every 3 to 4 days. With each improvement in its dandruff status, you can reduce the bathing frequency further. The ideal is to bathe a normal dog for no more than once a month. Take note of the type of dandruff that your dog has. Your vet can help you determine whether the flaky skin is oily or dry. This will dictate the kind of dog shampoo that you can use. Oily and flaky skin is common among Basset Hounds, Labrador Retrievers, and Cocker Spaniels. The classic dry, flaky type of dandruff is more common among German Shepherds, Dobermans, and Dachshunds. If your dog has oily dandruff, it is best to look for a dandruff shampoo that contains iodine, salicylic acid, or sulfur. If the main issue is the dry type of dandruff, then a more suitable anti-dandruff shampoo is necessary. You can choose one that contains selenium sulfide, coal tar, or benzoyl peroxide. Keep in mind that these are harsh chemicals which your dog can react to. As such, it is always best to consult with your vet before using any of these medicated dog shampoos. Diet can play a huge role in both the prevention and management of dandruff. Low-quality dog food can contain allergenic ingredients that can predispose your dog to dandruff. There are also good-quality dog foods that can contain ingredients that your dog may be allergic to. If you are not sure about it, then you can perform an elimination diet. You give your pet a limited-ingredient diet and check whether it will have allergies. You can then introduce other ingredients into its food until you can zero-in on the triggering allergen. A very important substance in high-quality dog food is omega-3 fatty acids. While the AAFCO doesn’t recognize these nutrients as essential to your dog, they are still important. Omega-3 fatty acids and other types of essential fatty acids can help improve the health of the skin and coat. This can help minimize drying and flaking of the skin. If you cannot give dog food that contains sufficient amounts of essential fatty acids, at least give your dog supplements. This will help improve not only its skin, but its coat as well. It can also provide other health benefits. 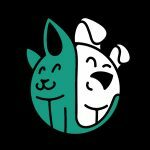 You may wish to read our list of organic dog foods here. There are different homemade remedies you can try on your dog with dandruff. Keep in mind that these may or may not work on your dog. You can try applying either olive oil or coconut oil onto your dog’s skin. This will help improve both hydration and lubrication of its skin. The antioxidants in these oils can also help soothe skin itching. Oatmeal is also a great product to use on itchy and dry skin. Soaking your dog’s skin with milk of magnesia for half an hour can also help. You can also try apple cider vinegar to help control itching and minimize dandruff. 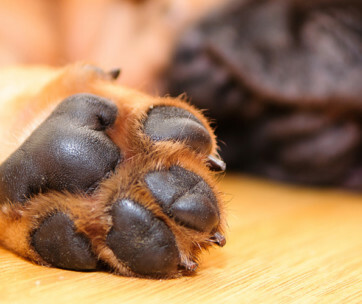 Another homemade remedy is the application of lime juice on your dog’s skin. You can combine equal parts of lime juice or apple cider vinegar and water. You can then apply this on your dog and let it sit for a while. After about 30 minutes or so, you can shampoo and rinse. Low humidity is one of the reasons why some dogs develop dandruff. Investing in a good humidifier can helps solve such problems. This will also help soothe the other manifestations associated with dandruff. Getting rid of your dog’s dandruff entails understanding of the cause of the condition. Diet, regular grooming and bathing, and the use of homemade remedies can help you get rid of these itchy, dry, and flaky skin from your dog.